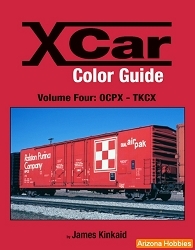 This book contains many HO scale drawings of freight cars plus HO and other scale color artwork of many attractive freight car paint schemes. 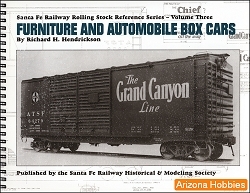 This is an excellent reference book for the model railroader. Freight cars make up the majority of rolling stock in North America. There are literally thousands of car designs and dozens of car types. 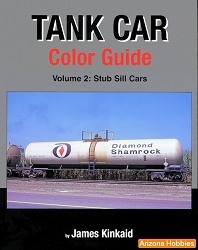 This book is your gateway to some of these cars. 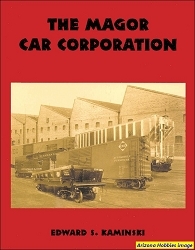 Whether you are researching a particular car type, looking for a scratchbuilding project, or just love rolling stock drawings, this book is for you. Included are hundreds of elevations, details, and plans carefully recreated by some of Railroad Model Craftsman's best draftsmen. All eras are represented in clear and accurate renderings. Both black and white and color is represented with the latter type showing complete car painting and lettering designs. White River Productions, softcover, 98 pages, 8.5 x 11 x .25 in., Color photographs and illustrations, HO scale drawings, Color paint scheme illustrations.